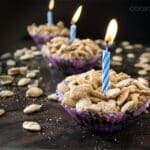 Today, I’m sharing a Birthday Cake Flavored Pumpkin Seeds Recipe. These pumpkin seeds are super easy to make and their sweet crust is sure to convert everyone into a pumpkin seed lover for life. Last year I went on a pumpkin seed roasting spree and came up with several different flavors. My hope was to find a flavor that my family would enjoy. You see, nobody in my household (other than me!) likes roasted pumpkin seeds. The most successful flavor I came up with was for Maple and Pumpkin Pie Spice Roasted Pumpkin Seeds. The Hubs, who usually tries one or two seeds before walking away, ate a handful. My son J loved the taste but his little mouth didn’t love the crunchy texture. Based on the success of the sweet flavor last year, I’ve tried another one. 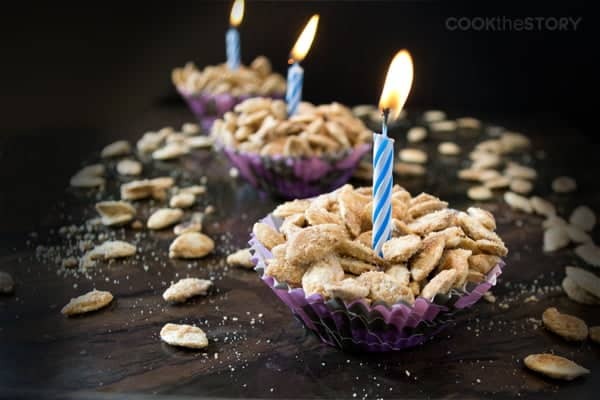 Birthday Cake Flavored Roasted Pumpkin Seeds. Seriously. J ate a whole bowl full and asked for more. And The Hubs, well, he didn’t even get to try them because they were long gone before he got home from work. 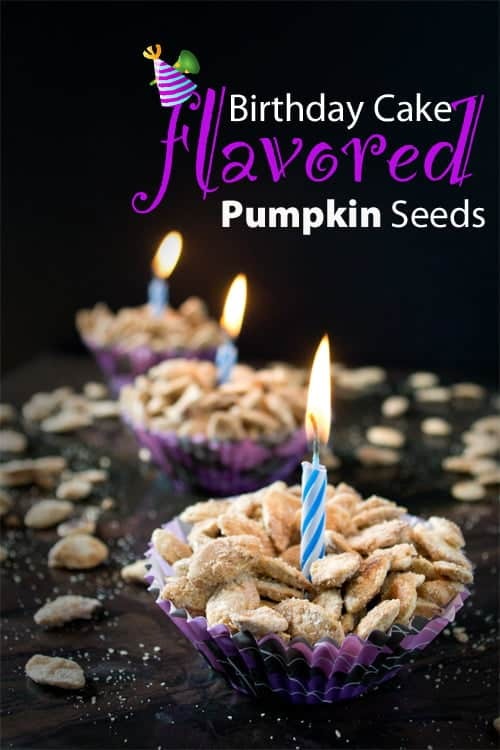 You can check out the entire flavored pumpkin seeds recipe collection here. 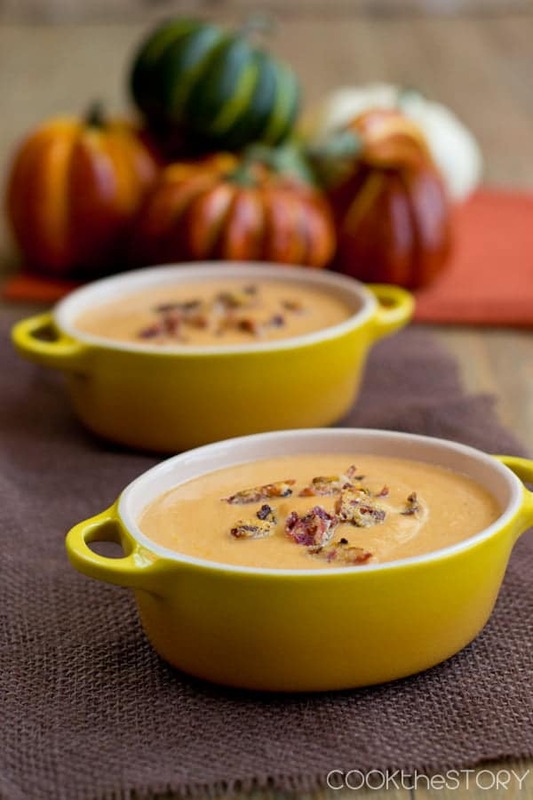 If you’re looking for another great way to use pumpkin, be sure to also check out my recipe for 15-minute homemade pumpkin soup. Now for my tasty birthday cake flavored roasted pumpkin seeds recipe. 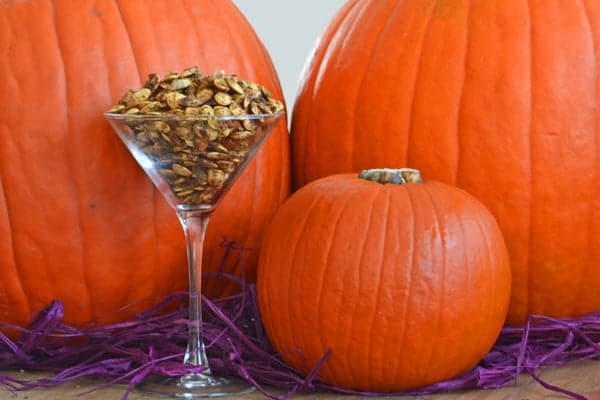 This recipe uses my two-stage process for roasting pumpkin seeds. This method yields crispy seeds that absorb the flavors you use for seasoning. 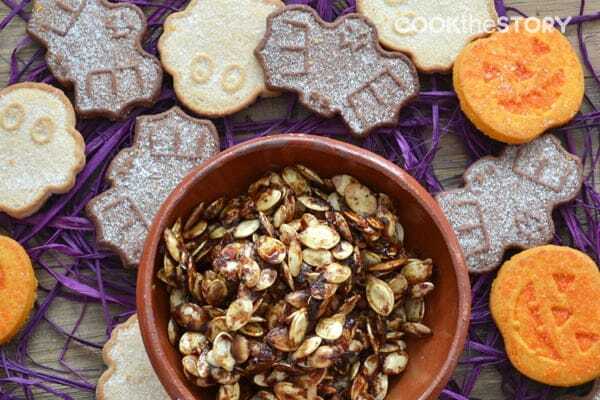 The secret to the birthday cake flavor and crumbed texture of these pumpkin seeds is to use dry cake mix as the seasoning. The cake mix is added after toasting the seeds in oil but before roasting them in the oven. Preheat oven to 325ºF. Line a large baking sheet with parchment paper. Measure the dry cake mix into a medium-sized bowl. Put the pumpkin seeds in a colander and rinse with cold water. Pat them dry with paper towel. Warm the canola oil over medium heat in a large skillet. Add the pumpkin seeds (stand back to avoid oil spatters which can happen if the seeds were not thoroughly dried). Cook stirring occasionally until browned in a lot of spots, 4-5 minutes. Immediately transfer the hot seeds to the bowl of cake mix. Stir until all the seeds are coated in cake mix. Spread the seeds out on the parchment-lined baking sheet in a single layer. Put the baking sheet into the oven and roast the seeds until they're crunchy, 18-22 minutes. Cool the seeds on the baking sheet. Serve at room temperature. Store in an airtight container for up to 4 days. I’m still on the lookout for more delicious recipes. 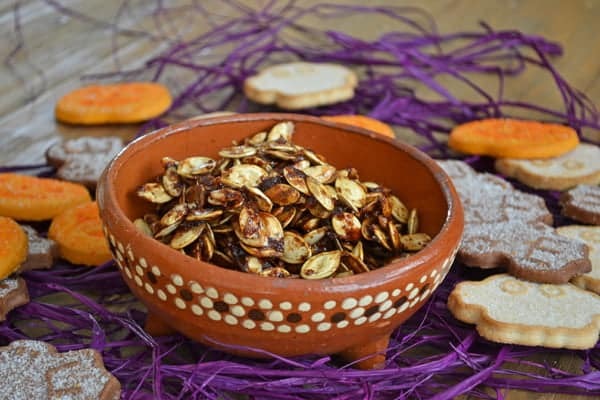 Please help me out and scroll down to the bottom of this post and tell me about your favorite pumpkin seeds recipe or favorite flavors. Just made ours with betty crockers cinnamon streusel…mixed the cake mix with the cinnamon packet to coat the seeds it was a hit! Sandra, I am soooo happy to hear that! What a great idea. Now I have to go to the grocery store and check out all the flavors available. You’ve opened my eyes to the possibilities! What a great idea! I’ll have to try these the next time I carve a pumpkin!